So if you’re ready to crush it in 2019, save this link and come back to it whenever you need a bit of UX Writing inspiration. You can also contact me personally with concerns, and I promise with all of my heart to get back to you and do my best to help you land that UX Writing gig. Now we’re going to lay out the steps to get you started; it’s up to you to follow them. The great thing is, that by the time you’re done reading this article, you’ll already have steps 1 and 2 completed. Because before we start to get our hands dirty, there are 2 major points we need to understand. That’s it! No more, no less. A lot of people tend to think that product design is about making the UI of our website look better. Now, if the problem is that our product is ugly, of course we’ll make it look better. But the average digital product has 99 problems and aesthetics is just one. Let’s take a look at an example from a product we all know and… are familiar with. The talented product team made up of writers, designers, and developers starts working night and day to come up with the best possible solution to the problem. After one week they decide the solution is to break the design down into elements. The first is a microcopy placeholder with a personal touch; it asks the user what’s on their mind. The second one is to add a ‘Q&A’ feature that will allow users to introduce themselves to their audience and initiate a question and answer session with them. Further, there’s a Photo/Video Album element and a Live Video one as well. This new design should increase user engagement and help add more content to Facebook’s platform. If it works, Bam! Problem solved by better design. These roles remind me of a video game from my childhood with 3 Vikings who each had a different skill. There was a fighter, a bridge builder, and a defender. They each filled totally different roles, but they were all on the same mission. The same goes for product design! The entire product team needs to be completely coordinated in order to solve the problem, and everybody needs to use their particular skill in order to make it happen. Writer, designer, and developer, all working together. Swish! Of course, that’s just one example and there are countless types of problems to solve, but I think you get the point. Product design teams (writer, designers, and developers) work together to solve problems. So now that you understand your role in the team, let’s examine that role. Web copy, like all copywriting, must be tailored to the intended audience—in this case, the user of the product. Above all else, just like in copywriting, your web/microcopy must be clear, concise, and useful. Good microcopy (a little piece of text on an interface) should help us navigate and carry out actions on a website. Not only that, it should take into consideration how the user feels at every step of the user flow. The second screen is much more effective. With seven words I know exactly what Slack is, and with one button I know exactly how to get started. The copy is direct and concise and the fact that I don’t have any other options, like using the sidebar or the search tab, makes for a much more user-friendly introduction to the product. In the ‘before’ design, the user is likely to feel overwhelmed—in the ‘after’ they’ll feel reassured. If you’re looking for more tips on creating well-crafted copy that really stands out, this is a great talk by a team at Google. OK, now that we’ve got theoretical steps out of the way, it time to get our hands dirty. Newsflash for 2019—web design tools aren’t as scary as they used to be. For example, I let my 2-year-old nephew mess around with Photoshop—he didn’t have a clue and was just clicking around on the screen. But… when I let him use Sketch and Figma, he did exactly the same thing. C’mon, he’s 2! What, you thought I’d say he redesign Apple Music and it went viral? OK, you got me. Product design tools aren’t so easy that a 2-year-old can use them, but they’ve never been more accessible. Even though it’s not your job as a writer, becoming comfortable with these tools will be of great advantage as part of the design team and will look good on a resume. And getting the basics down won’t take much time at all. This is a video from my UX writing training course that explains why. Learn to use design tools, and take your product design game to the next level. This is the big one, the one you have to get right. It’s also going to be the most work so get ready. Here’s the thing—since UX Writing is such a new field, things like education or prior work experience probably won’t be the most important factors in getting hired. Companies are ultimately interested in whether or not you’ve got the writing talent to take their product to the next level. As such, your UX Writing portfolio is probably more important than your resume. That’s right I said it: more important than your resume. Think of it like any other creative role—actor, dancer, musician. No one cares where you learned the craft, they just want to see your chops. Same for UX Writing. Now, you may be thinking “I don’t have much of anything to put in my portfolio.” Don’t worry, as a new UX writer, it’s natural that you don’t have tons of work to put in there, but what you can do is show some creativity to make your work stand out. Also, make sure you explain your process—how you went from an idea to a finished product. Show your work, just like in math class. This could include details like what problems needed to be solved, how you went about solving them, and on what information you based those decisions. Also, details like word choice and matching the voice to the brand are a nice addition. But what if you don’t even have one project you can show for? We’ve got a solution for that too. Find an app that needs fixing, and fix it! (Theoretically at least.) Seriously, you’ve got tons of apps on your phone and I’m sure most of them could stand to be improved. Take some screenshots, pop them into one of the design tools you recently learned to use, fire up the text field and start adding your improved copy. Bam, just like that, new portfolio piece. Pretty cool, no? Above all remember step 1. Find problems, fix problems, show them how you did it. You’ve got the knowledge. You’ve mastered the tools. You’ve crafted your work. Now it’s time to put it out there. But where? There are more UX Writing and microcopy resources out there then you might think. First and foremost, join the Facebook group Microcopy & UX Writing. It’s an active and welcoming community of writers. You can meet people, network, get advice, find available positions—it’s really a great resource. I run UX Writing Hub which features a blog, job board and info about upcoming UX writing workshops and more. And, you can sign up for the UX Writers Weekly newsletter to keep up with the latest goings on in the field. Then, update your Linkedin and start sending out your work. It won’t be easy and it won’t happen overnight. But with UX Writing, if you’ve got skills in copywriting, marketing, or design, you can leverage them to start a career in UX Writing. If you feel you want some formal training there’s an option for that too now. Learn more about joining our UX Writing training program and feel free to direct any questions to me. At the end of the day, if every product team member had even just some basic training in UX Writing, it would have a huge impact on the usability and quality of our digital experiences. So good luck writers. UX Writing is a field that should offer you a long, challenging, and lucrative career as me make our way through the digital age. 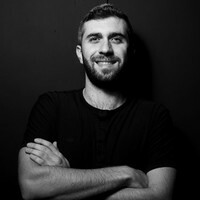 Yuval Keshtcher is the Founder of UX Writing Hub and the creator of Microcopy & UX Writing.